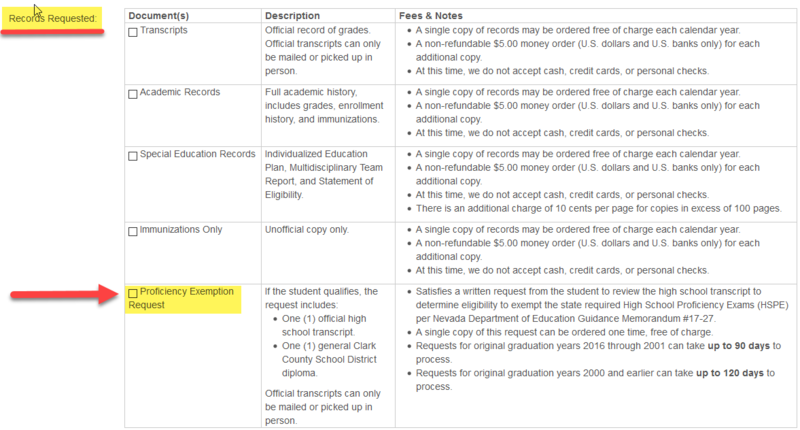 Navigate to the Clark County School District records request website. Complete the required fields of the request form. After all required information has been filled in on the form, click “Submit Records Request” button at the bottom of the page. If an email was provided, the customer will receive automated email notifications regarding the progress of the request. This includes a reference number of the request. Please check your Spam folder and add sdsweb@interact.ccsd.net as a safe address to ensure message delivery. Note: Requests for original graduation years 2016 through 2001 can take up to 90 days to complete. Requests for original graduation years 2000 and earlier can take up to 120 days. 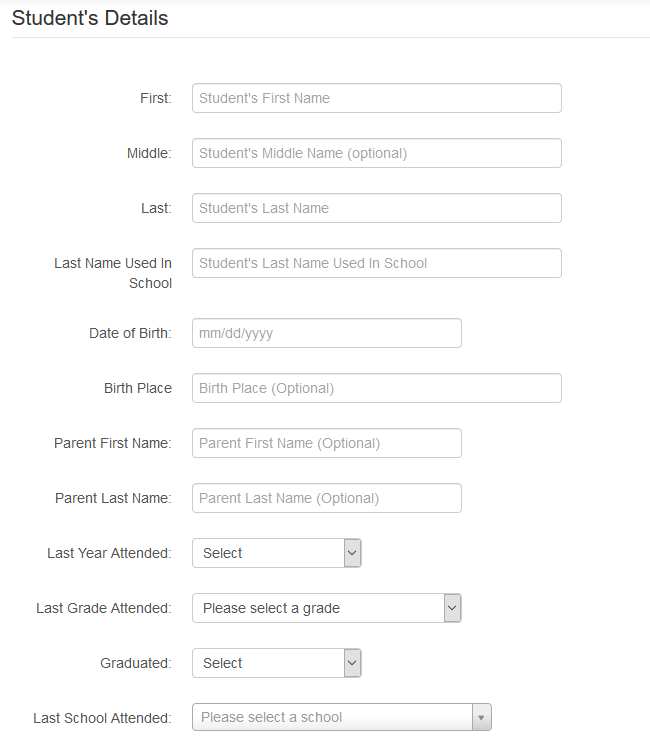 Complete form and turn it in to Adult Ed personnel. Wait for a telephone call from Adult Ed for confirmation of graduation. Contact 702-799-8650 to receive a faxed/emailed copy of the form.